The much awaited London College of Music (LCM) piano syllabus has finally been published. A new syllabus is always exciting – both for student and teacher. I am an enthusiastic supporter of piano exams; they provide a veritable goal for anyone learning, particularly for younger players. And whilst an exam syllabus should never be used as a piano ‘method’ per se (i.e. where the student moves from one exam to the next with little or no solid repertoire or technical work in between), they can provide a whole host of benefits for the conscientious learner. Employing any exam syllabus as a method in itself is rarely a good idea, and eventually becomes a non-starter, as inevitably students can’t keep pace with the escalating difficulties from one exam to the next. However, if exams are used in a positive way, to occasionally measure progress and afford interesting musical discoveries, then they are a very valuable tool. The new LCM syllabus is a winner. In recent years an oft-discussed topic has been the relative lack of lesser known repertoire, with particular reference to the scant inclusion of works by female composers. Sadly, there still aren’t enough female composers or writers working in the industry, let alone being featured on the exam syllabuses (this goes for professorial staff too – there may be many female piano teachers locally, but try to study with one at a higher level, and they suddenly become a bit thin on the ground). Hopefully, these issues are finally being addressed, and they have certainly been addressed in the new LCM syllabus. Female composers abound here, leaping from the pages with aplomb. And it’s wonderful to behold. Any examination board must uphold standards, but such ingenuity in programming is not only much appreciated, it may also make the difference when selecting which board to use. I like the layout of the syllabus in general; not all exam boards include the technical work (scales, arpeggios and exercises) for each grade in the same volume as the pieces. This works well, and there are also sight-reading examples and aural tests at the back of the books too. Buying many books for each exam (i.e. purchasing the scales, sight-reading and aural tests separately) is a costly business and having them all under one roof might avert the recurrent scenario of ‘forgetting’ books at the weekly lesson too! Each handbook (for every grade) comes with nine pieces (twelve for Grade 8), and three (four for Grade 8) from each list, but there is an alternative syllabus too, for those who prefer to go off-piste. Beginning with pre-piano exams, the Pre-Preparatory and Piano Steps 1 & 2, offer simpler tunes for those just starting to play, we then move swiftly to Grade 1, which features works by expected composers such as Attwood, Diabelli, Mozart, Rossini, Bartók and Weber. These are set alongside Contemporary favourites by renowned educational composers such as Christopher Norton, Elissa Milne, Ben Crosland, Heather Hammond, Alan Bullard, and Pamela Wedgwood. It’s refreshing to see Rebekah Maxner, June Armstrong and Barbara Arens on this list too – certainly a strong female line-up. Perusing the handbook, other interesting Contemporary options throughout the syllabus (in my opinion) might be the following: The Lonely Traveller (Evelyn Glennie, Grade 2), From the Rue Vilin (Max Richter, Grade 3), Cicada Sketch (Arlene Sierra, Grade 3), When Rivers Flowed on Mars (Nancy Telfer, Grade 4), Every Morning, Birds (Rachel Grimes, Grade 5), Curroco Molto (Tony Pegler, Grade 6), Railroad (Travel Song) (Meredith Monk, Grade 6), Forest Musicians (Sofia Gubaidulina, Grade 6), Lowside Blues (Joanna MacGregor, Grade 7), and The Barnyard Song (Alwynne Pritchard, Grade 8). Each Grade spotlights expected classics (with ample Baroque, Classical, Romantic and Twentieth Century selections), but there are a few other unexpected choices from female composers far and wide; Liza Lehmann, Teresa Carreño, Lili Boulanger, Fanny Mendelssohn, Ethel Smyth, Céclie Chaminade, Amy Beach and Yvonne Adair. A larger selection awaits if you decide to venture on to the alternative lists. An aspect pleasing to me, is the careful selection of jazzy and ‘blues’ options. Whilst these jolly pieces are enjoyed by students, there often seems an unnecessary deluge of them littering some syllabuses. I’m reasonably familiar with the handbook selections as one of four writers commissioned to write the Performance Notes for Grades 1 – 8. I wrote around 30 notes in all (for Grades 1 – 6), including nearly all those for Grade 1 and 2. Pianists and teachers, Kirsten Johnson, Zubin Kanga and Daniel Grimwood, also wrote copious notes interspersed with those of some of the highlighted composers, who wrote their own. The inclusion of suggested practice and performance ideas (alongside the background history of each piece) is excellent and, again, separates the LCM syllabus from other exam boards; buying separate practice notes might not appeal to many, and so to have them printed next to the pieces is a beneficial, user-friendly initiative. For those who may have previously over-looked the LCM examination board, this new offering will afford plenty of food for thought. The syllabus offers much-needed variety and might just introduce students to previously unknown composers, encouraging them to delve deeper and explore more unusual repertoire options. And that can only have a favourable outcome. 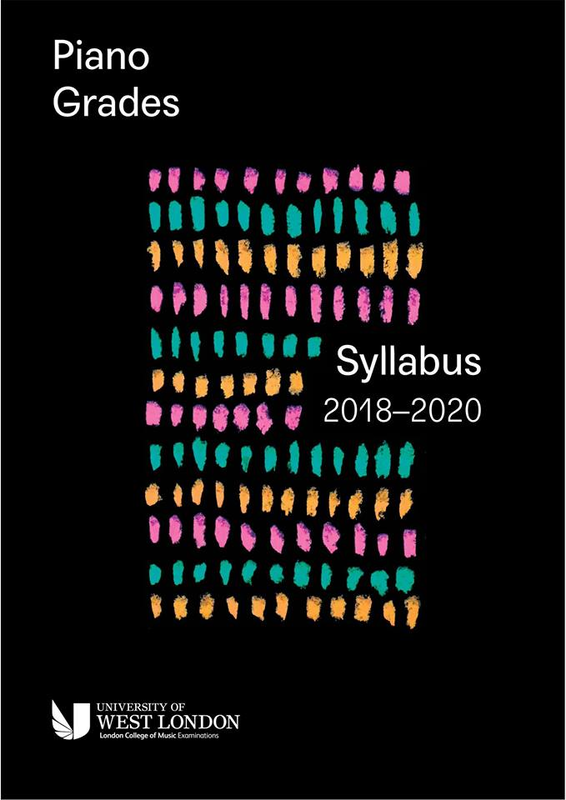 You can read (and download) the new syllabus here, and find out much more about the London College of Music Exams, here.